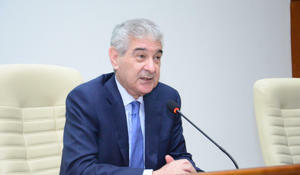 Azerbaijani-Chinese relations are built on a solid basis, and this cooperation can be characterized as friendship and partnership, said Ali Ahmadov, Azerbaijani Deputy Prime Minister and Executive Secretary of the ruling New Azerbaijan Party, Trend reports. 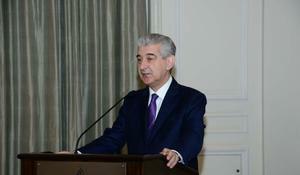 For more than a hundred years, the history of mankind has beenfacing lies - the fictional Armenian genocide, Azerbaijani Deputy Prime Minister Ali Ahmadov said on April 24 at an event entitled “Fictional Armenian Genocide: Truth and Reality,” held at the headquarters of the ruling Yeni Azerbaijan party, Trend reports. Azerbaijan, according to the calculations of the World Bank (WB), has demonstrated economic growth of over 12 percent since the beginning of 2000, and is considered one of the states showing accelerated development rates, Azerbaijani Deputy Prime Minister Ali Ahmadov said, Trend reports. 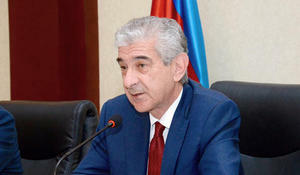 Economic reforms being carried out in Azerbaijan began to bear fruit, and important measures are being implemented in the social sphere based on this, Ali Ahmadov, deputy chairman - executive secretary of the ruling New Azerbaijan Party (NAP), said at the party’s meeting, Trend reports March 2. 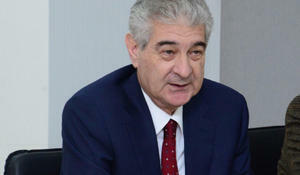 Azerbaijan’s deputy prime minister, Deputy Chairman - Executive Secretary of the ruling New Azerbaijan Party (NAP) Ali Ahmadov has met with a delegation led by President of the Centrist Democratic International Andres Pastrana, Trend reports with reference to the NAP press service. 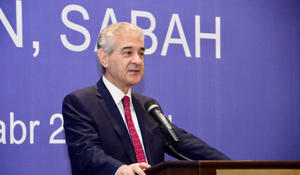 Azerbaijan’s goal is to achieve recognition of the Khojaly genocide throughout the world, deputy chairman-executive secretary of the ruling New Azerbaijan Party, Azerbaijani Deputy Prime Minister Ali Ahmadov said. 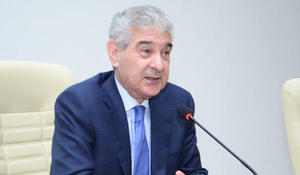 Azerbaijan will make efforts for young people to take part in the municipal election as candidates this year, Azerbaijani Deputy Prime Minister, Executive Secretary – Deputy Chairman of the New Azerbaijan Party Ali Ahmadov said. The main goal of the policy being pursued by President of Azerbaijan Ilham Aliyev is to take care of people, Deputy Prime Minister, Executive Secretary of the New Azerbaijan Party, Deputy Chairman Ali Ahmadov told reporters in Baku on Jan. 31. 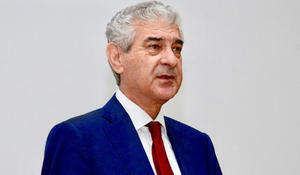 Major creative work has been carried out in Azerbaijan over the past 15 years, Deputy Prime Minister, Deputy Chairman - Executive Secretary of the ruling New Azerbaijan Party (NAP) Ali Ahmadov said Dec. 24 at the “Grand Construction: Yesterday, Today and Tomorrow” conference in Baku, Trend reports. As long as Ilham Aliyev is leading Azerbaijan, the country will develop and achieve even more success in the coming years, Trend reports as Deputy Prime Minister, Deputy Chairman and Executive Secretary of the New Azerbaijan Party Ali Ahmadov said at an event in Baku dedicated to presentation of a documentary and a book titled “Ilham Aliyev: Annals of 15-Year Successful Presidency. 2003-2018”.